As a self-professed meat lover, it isn't often that I get thrilled by vegetarian dishes. 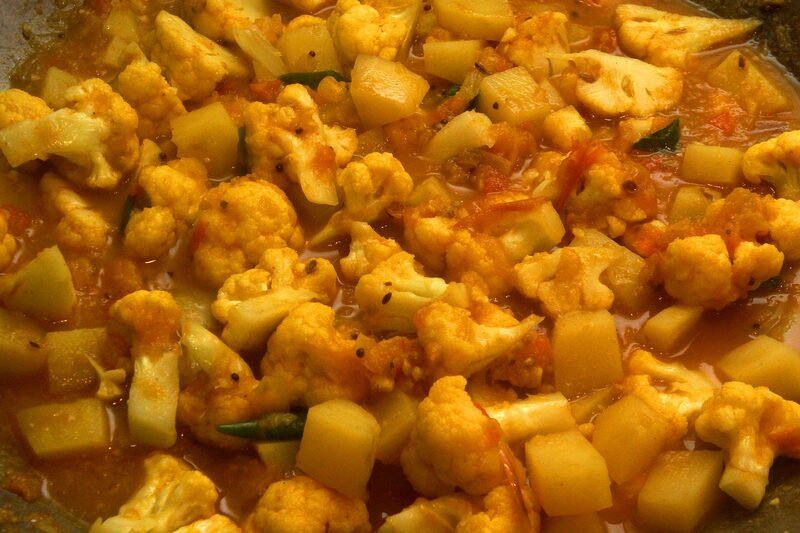 But aloo gobi, a vegetarian potato and cauliflower Indian dish, is on my favourites list. Admittedly, I am guilty of stereotyping cauliflower as a wallflower compared with vegetable superstars like kale. But in the company of spices like kasuri methi (dried fenugreek) and coriander seeds, cauliflower takes on a life of its own. 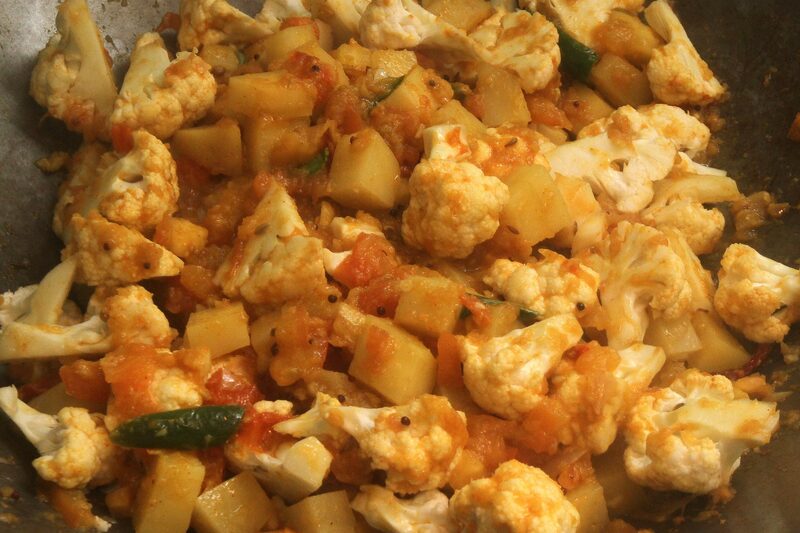 Aloo (potato in Hindi) and gobi (cauliflower, also spelt gobhi), combine to make a perfect canvas for the spices to exhibit their flavour and colour. 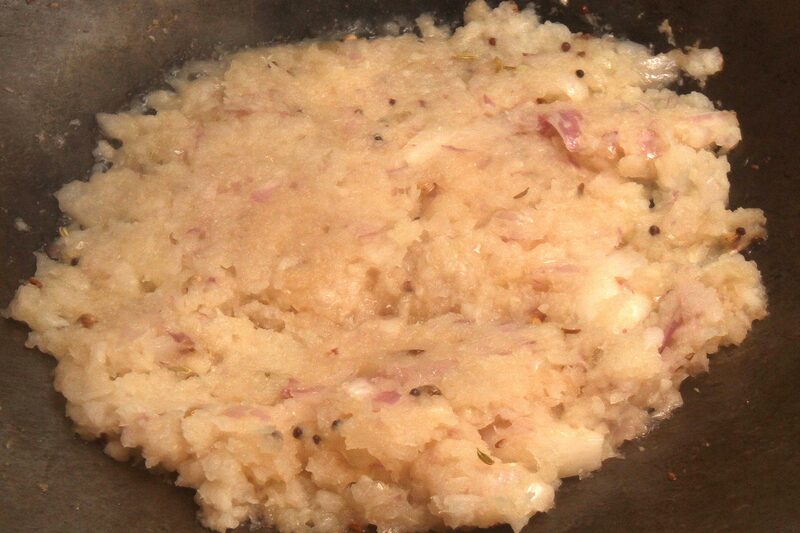 There are many versions of aloo gobi. The spice mix used varies with the chef or cook. A recent version I ate at a coffee shop contained black mustard seeds, coriander seeds, cumin seeds and kasuri methi, lending their distinct aromas to the dish. The combination is also texturally exciting - the tenderness of the potato and cauliflower is beautifully accented with crunchy bits of aromatic spices. If you don't want to use ghee, you can substitute it with vegetable oil. 1. Heat the ghee in frying pan over medium heat. 2. Add in the fennel, cumin, coriander and black mustard seeds. (Be warned that the mustard seeds will pop.) Fry for 30 seconds and once they start crackling, add the onion. Lower the heat to medium-low. 4. Add the ginger and garlic and fry for 3 minutes. 5. Add the diced tomatoes and fry for 2 minutes. 6. Add the potatoes and fry for 5 minutes. 7. Add the cauliflower and fry for a minute. 10. Simmer for 15 minutes, taking care to stir often to prevent the mixture from burning. 11. Season with salt and fry for another minute. 12. Turn off the heat, add the kasuri methi and stir through. 13. Garnish with fresh coriander.